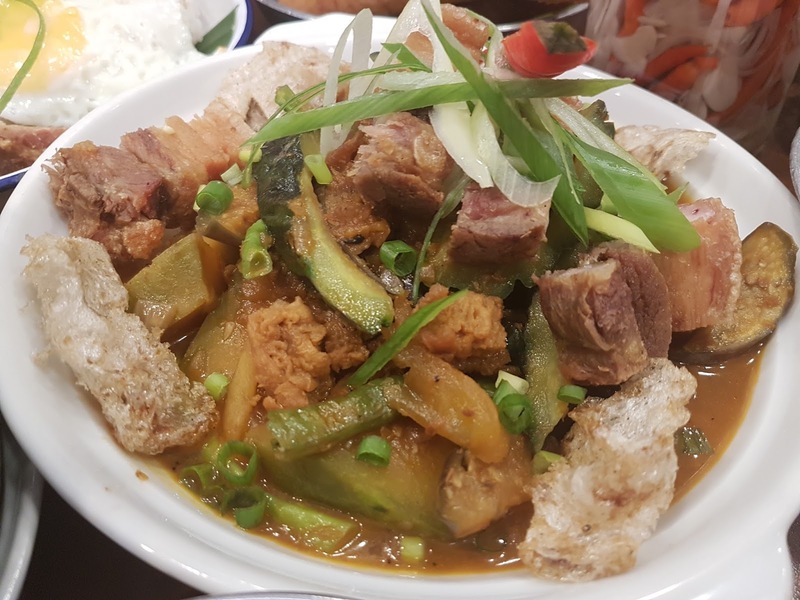 With the abundance of tourists that go to Boracay, I would always be pressured in recommending a restaurant to them that serves delicious local food. 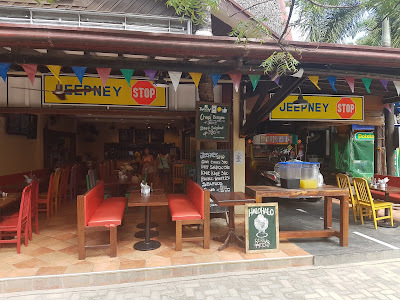 Those worries are now over because I recently discovered Jeepney Stop. It even has a real jeepney inside it so tourists can get a feel of riding in it since most tourists prefer to skip the city and go straight to the beach. One of the foods you must try at Boracay is the Chori Burger. If you have yet to try it then you are missing out a lot. I know it is hard to ignore this meaty delight because you want to maintain that beach body. Good luck with that! 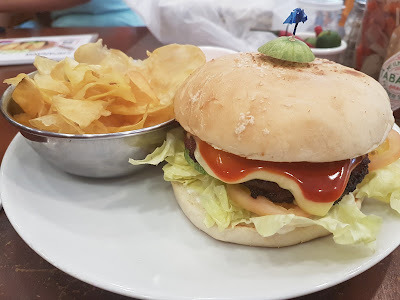 This burger has goodness in every bite. 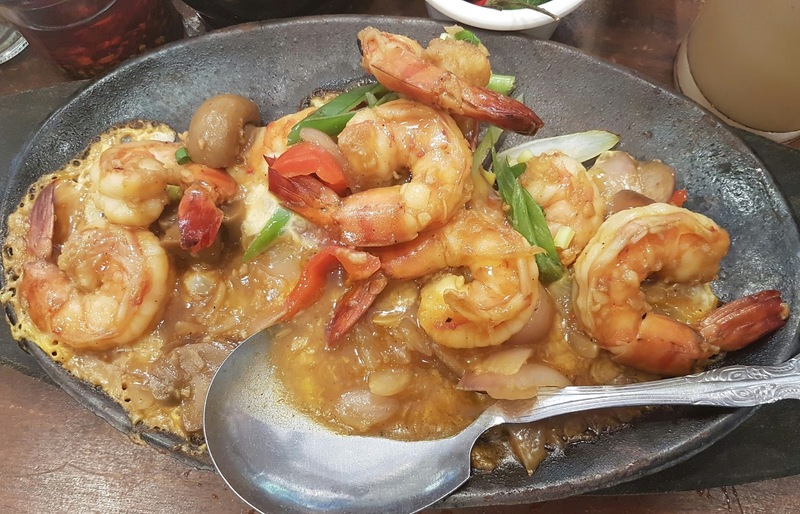 I love shrimp so I just had to order the sizzling gambas. The server who attended to us recommended this and I must take my hat off to him. It was a wonderful recommendation. Speaking of the server, I must commend the amazing service of the staff. 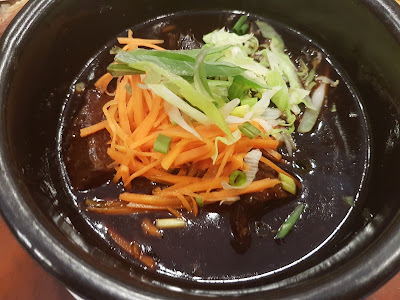 The beef is very tender in the Pares and the soup. 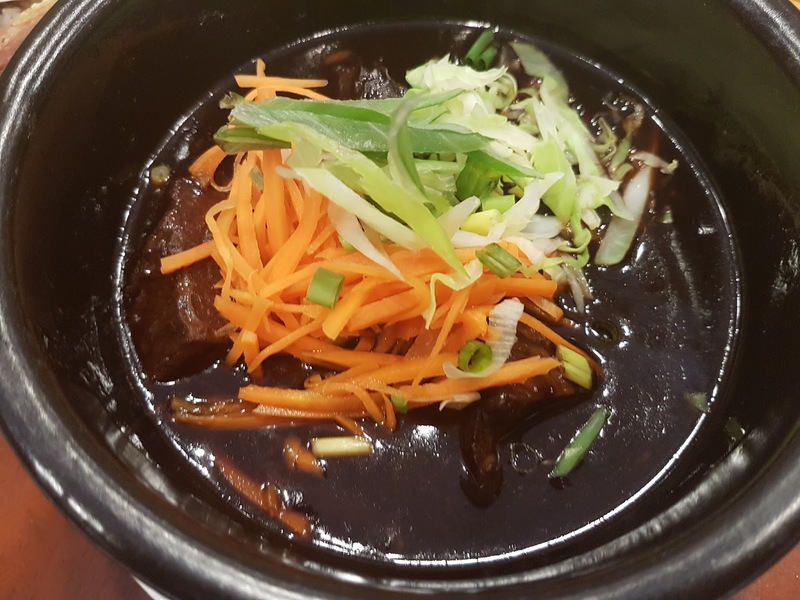 The sauce of this dish is also very addicting. In fact, words can't describe how good this dish was. You have to taste it for yourself. I guarantee you will love it. We had a local favorite in the Pinakbet with Bagnet and I love their version. I really hope tourists who want to taste local dishes would have the chance to try this out. They have several breakfast rice meals for those who wake up early. 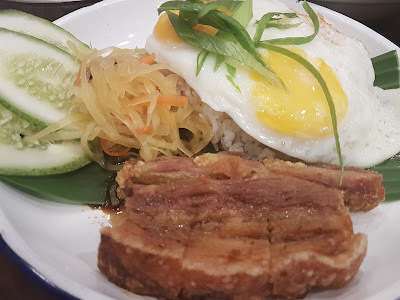 We had the bagsilog and I'd say the bagnet was cooked to perfection. My compliments to the chef. 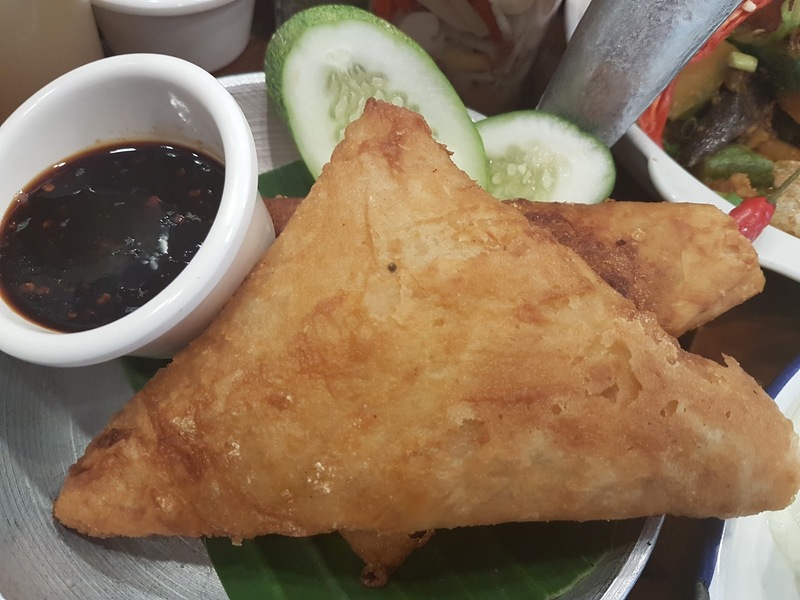 Perhaps the dish with the catchiest name is Goodbye Philippines. It certainly got us curious as to why that is the name and it turns out there is a whole chili inside each sandwich. Inside is juicy pork and shrimp that tasted really fresh. It only did it wonders once it is sandwiched in a crispy sandwich. 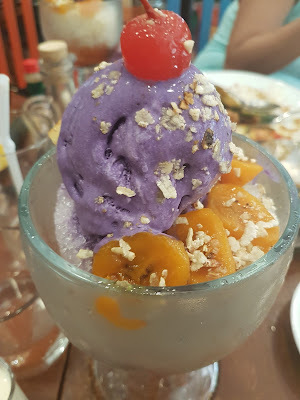 To cap off the breakfast, we had two traditional Filipino desserts. I have to say their servings were HUGE. In fact, I think one halo-halo is good enough for two to three people. 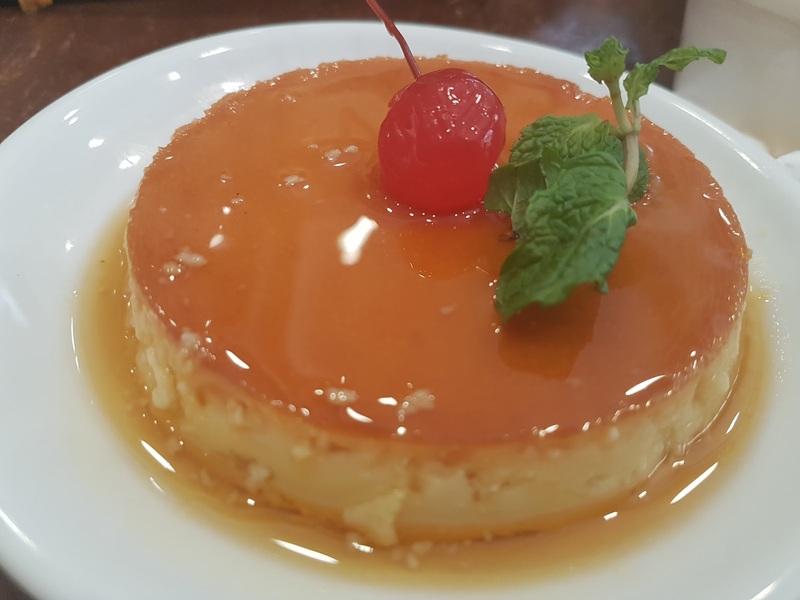 Both desserts will satisfy your sweet tooth as they had the right amount of sweetness in them.